“The SAIL exercise class has helped me to have more energy and better balance to overcome the vertigo problems of the past. The class has also helped me prevent falling as I have been prone to do. 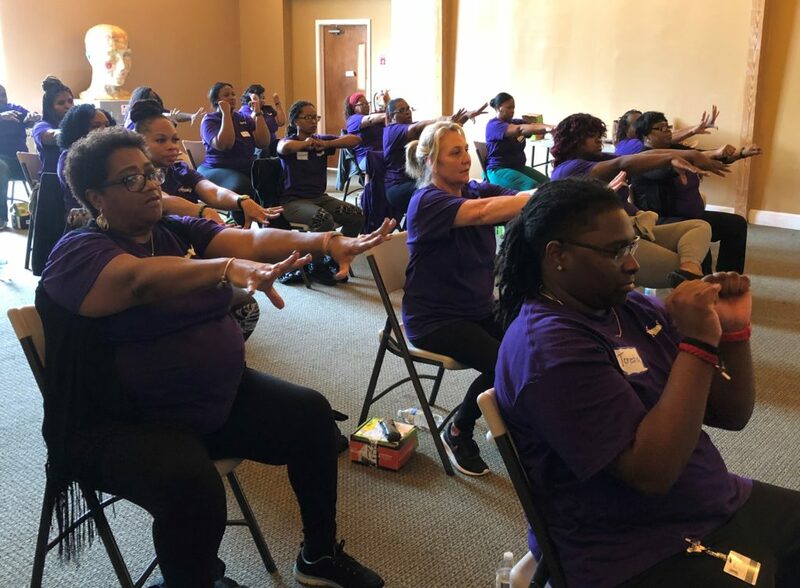 “I joined the SAIL class several months ago after back surgery and the class has strengthened not only my back but the whole body. “I’ve made lots of new friends. My legs are measurably almost twice as strong as when I started the SAIL class four years ago. Intermittent pain in my back and one hip is gone. I feel vibrant and healthy, far more so than when I was in my 50’s. Exercise has to be priority of every day. Learn why older adults say, “I can do so much more these days, and I know it’s this program”. 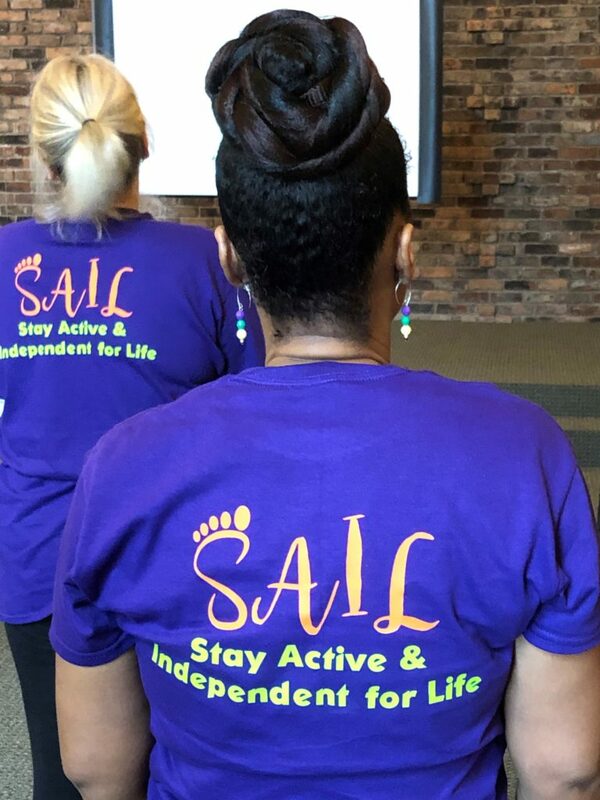 SAIL Seminars specializes in the dissemination of an evidence-based fall prevention program for older adults called “Stay Active & Independent for Life” (the SAIL Program). 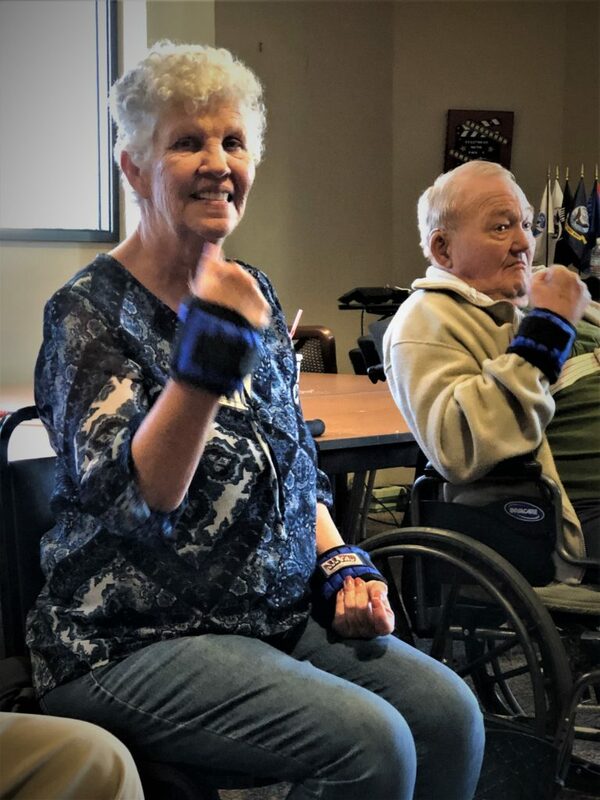 The SAIL Program is a strength, balance and fitness class for adults 65+ and recognized as a Title IIID – Evidence-Based Program by the Administration on Aging. In September 2012, SAIL was recognized as a Title IIID – Evidence-Based Program by the Administration on Aging. SAIL met the highest level criteria for an evidence-based program. The online SAIL Program Leader training is available to everyone who is interested in learning more about the SAIL Program. The onsite SAIL Program Leader training is especially appropriate for organizations that intend to establish and disseminate SAIL Programs in their geographic regions. We have a pathway for certifying “Master Trainers” that is very affordable (less than $800 per person). The founder of SAIL Seminars (Laurie Swan) worked closely with the original founders of the SAIL Program in Washington State for several years and is committed to maintaining the original fidelity of the program. 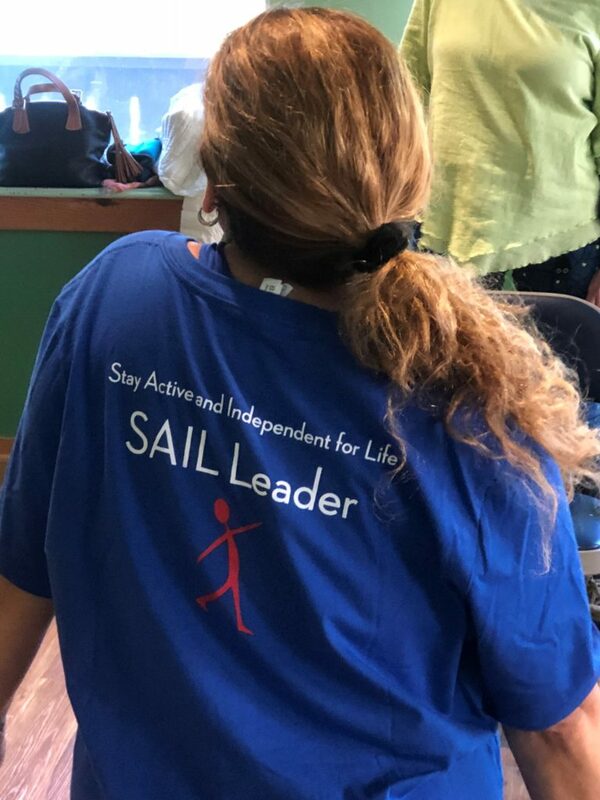 We have worked with organizations such as the Oklahoma Healthy Aging Initiative, Centrex Rehab, Marymount University, and UCLA Rehabilitation Services to bring SAIL to their communities (see our Spotlight on SAIL posts below). We provide free, on-going consulting services to Master Trainers and their organizations to ensure the successful uptake of the SAIL Program in a geographic area. All of our instructors are physical therapists with doctoral degrees and many years of experience working with older adults. Our online SAIL Program Leader training has undergone an intensive internal review for quality assurance and has met the 21 Essential Quality Matters Standards, with an emphasis on accessibility. 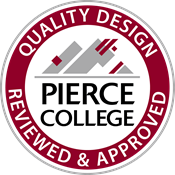 Our partner for the online SAIL Program Leader training, Pierce College Fort Steilacoom, ranks among the top 10 best community colleges in the nation, and is a finalist for the 2019 Aspen Prize for Community College Excellence. We have certified over 1,000 SAIL Program Leaders in 39 states, and 4 countries.